GM Joel’s Chess Week Recap - Episode 29 Opening: B94, B67, E10, A45: Player(s): Nepomniachtchi, Korobov, Robson, Abdelnabbi, Emre, Carlsen, Vachier-Lagrave The Grand Chess Tour landed in the super-romantic capital of France, a city that is on top of the list of all those who like traveling. It is the season od Rapid and Blitz for the GCT, and such quick time controls lead to great fun for the viewers. I am not sure if the players enjoy playing in these tiring and nerve-wracking events. Carlsen played an amazing Rapid leg, finishing two full points ahead of his opponents. In the Blitz madness the Norwegian didn't succeed in repeating his fantastic performance, and at the end of the 18 rounds with time control 5+2, Magnus and Maxime Vachier-Lagrave were tied with 24 points total. It's a known fact that Carlsen has never lost a playoff, and he didn't break the tradition. He won the first of the two Rapid games and drew the second to win the tournament. The first prize was split between Carlsen and MVL, who got a nice +31K each. In today's show, GM Joel analyzes for us the first game of the playoff. The World Team Championship finished with China winning the Men tournament and Russia winning the Women's. In the Men's Russia was runner-up, and in the Women's China got second place. The tournament has been characterized by the lack of participation by the top players, all busy playing elsewhere. The USA did not do well at all, finishing third to last. 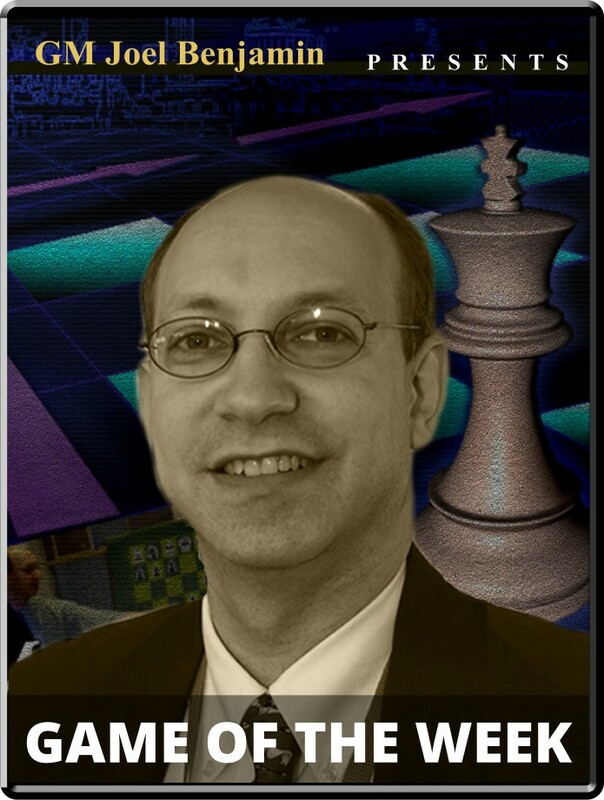 Yet, GM Joel wants to show us some positive notes, analyzing two games played by the young USA GM Ray Robson, who expressed creativity and beautiful play. Benjamin also reviews for us a marvelous game played by the strong Russian GM Ian Nepomniachtchi. Enjoy another fantastic week recap by GM Joel!